Reel down then pull up with all your might, reel down again and pull up until your arms fall off! That is what it was like landing my first tuna. 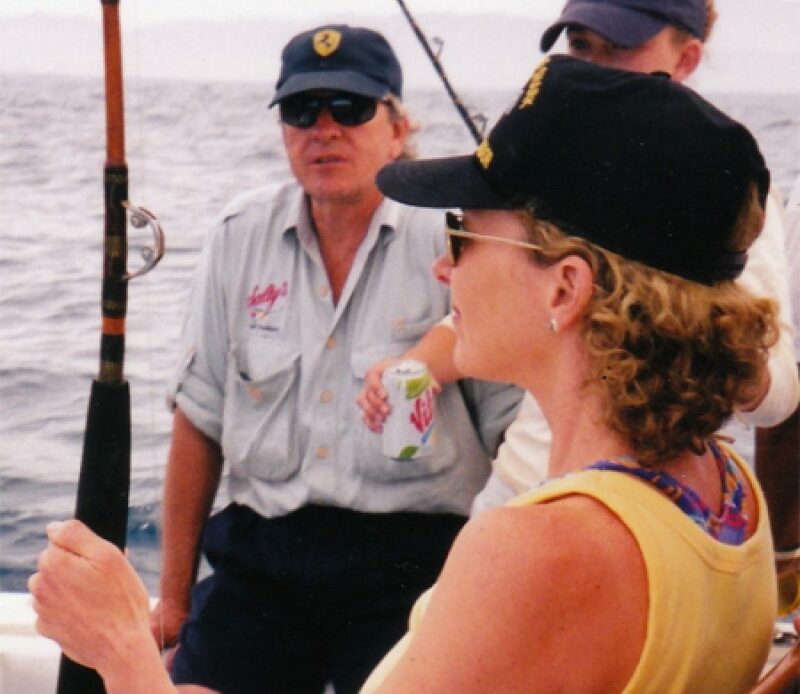 I was with my family bobbing off the tip of the Baja in white-capped seas, some folks down below super seasick and others burning up their biceps in the “fish on” chair. Mom was laughing and squealing with delight as she caught her treacherous tuna, all the while dodging the seagulls flapping over her head. After a long day on the water, docking was a relief and eating the pristine tuna that night was a well-deserved delicious thrill. Catching a tuna is great fun, and you don’t have to go far to do it. We have tuna swimming locally right here in the Northwest, and it’s not just a warm-water fish. At Salty’s we serve tasty West Coast tuna in September, and by the end of September Washington tuna arrives. Tuna is a brilliant fish with a great nutritious repertoire. Long known for its low fat and high-protein content, it has been a staple of low-calorie dieters everywhere. Beyond this basic building block, tuna fish goes deeper into the nutrition game by bringing home huge doses of omega-3 fatty acids, B vitamins for energy and that elusive ingredient selenium. Factoid: tuna is on the top of the list of the best sources of dietary selenium. This distinction gives it boasting rights as a great protector and multitalented defender when it comes to detoxification and antioxidant protection for our bodies. Selenium also plays a role in thyroid function by transforming the hormone T4 to T3 yielding greater activity, and with better function you feel more energized. Selenium’s role assisting antioxidants is key. Antioxidants are important because, like your grandmother’s silver, we are affected by oxidation. Every day there are little battles going on in our bodies referred to as oxidative stress. These battles are over electrons and who is in charge of keeping them. Wrestling those free radicals is what this unique tuna team of selenium and omega-3 is great at. This Batman and Robin approach is a brilliant defense strategy, which yields great results. These caped crusaders work together to better decrease inflammation, support a healthy cardiovascular system, keep blood pressure in check as well as lift your mood. Since oxidative stress is one of the key aging stressors, I am all for getting on the tuna boat. For great tuna recipes, check out Salty’s Chef Jeremy’s September Kitchen Talk blog Tuna U R Still No. 1 in My Book. For more information on tuna, check out whfoods.org and get on board!